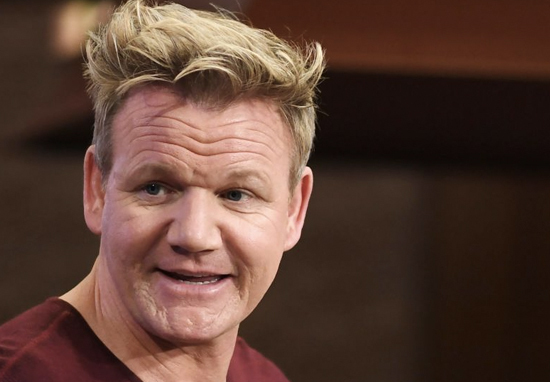 Gordon Ramsay has built up a reputation over the past decade for being the meanest, toughest and angriest celebrity chef in the world. 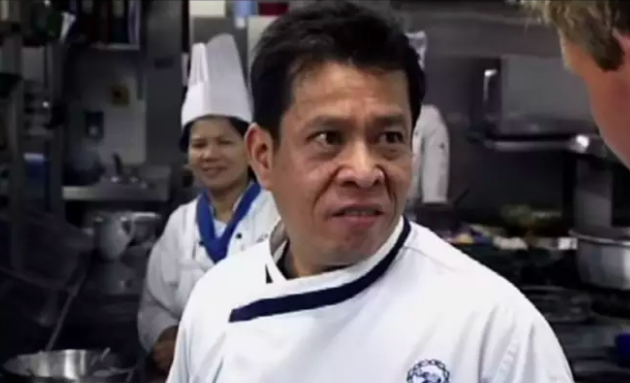 Therefore, only a few brave people will stand up to him – one of whom, is a Thai restaurant chef known only as Chang. A hero to anyone who Ramsay has ever intimidated – which must be hundreds. Over the past few days the clip of Ramsay getting criticism from Chang has once again gone viral – people just can’t get enough of it. If you’re unfamiliar with this fantastic piece of television, the infamous moment happened during series five of Ramsay’s popular television show The F Word. Visiting the Wimbledon Thai temple in London, Ramsay decided to cook up some pad thai – one of Thailand’s most popular dishes – for the Buddhist monks there. Wanting to make it more special, Ramsay enlisted the help of head chef Chang from the Blue Elephant restaurant – but things didn’t go as expected. I love Thai food. I love cooking it. I love eating it. But this has to be the most daunting task so far. The monks spend most of their waking hours meditating and studying. Buddhist teachings forbid them to cook so it’s up to the local Thai community to offer the one meal the monks are allowed to eat at 11.00 each day. Helping me fulfil this honour and privilege is Chang, executive chef at the Blue Elephant, one of London’s top Thai restaurants. With the stakes high, I’m pretty sure Ramsay was determined not to mess things up, but unfortunately, according to Chang, he did! At first things appeared to be going well for Ramsay as Chang told him the monks weren’t fussy eaters being ‘very nice, very kind’ never sending food back. Starting out by making savoury dumplings known as ‘money bags’, Ramsay smashed this task but then he moved on to the pad thai which, would be his ‘take on a classic’. Frying shallots, garlic and chilli with salt and a little bit of sugar, Ramsay then added the spring onions and king prawns making a dish he ‘loves to cook at home’. With Chang keeping an eye on him, Ramsay added fish sauce and tamarin paste to make his dish ‘sweet and sour’. Adding the finishing touches of an egg, bean sprouts and noodles, Ramsay hoped the monks would be happy with his dish, with Chang nodding in agreement. However, the chef then tried Ramsay’s ‘quick and easy pad thai’ and quickly everything went very, very wrong. No, this is not pad thai at all. Pad thai has to be sweet, sour and salty. To you, but not for me. I’m sure this is a dish he’ll be avoiding for the rest of his career haunted by this moment.